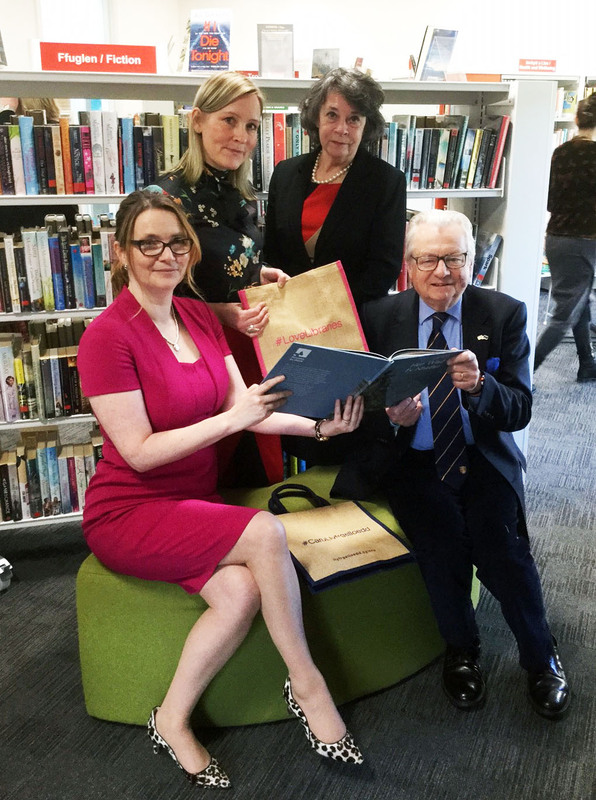 The Culture, Tourism and Sports Minister Lord Elis-Thomas AM, officially opened the public library within Knighton and District community centre on Thursday 15 February 2018. Since December last year, the centre has become home to the library and operates as a successful partnership between the management committee and the library service. The refurbishment of the centre came from various sources including the Welsh Government’s Community Facilities Grant and its Museums, Archives and Libraries Transformation Fund capital grant, and a range of other grants and contributions from Powys County Council, Knighton Town Council, Reserve Forces & Cadets Association and Radnor Hills. The Minister was welcomed to the library by Karen Plant, the Chair of the Knighton and District Community Centre Management Committee and Rosemarie Harris, Leader of Powys County Council . After his address Lord Elis-Thomas enjoyed listening to the Llanfair Singers and had a tour of the building with the council leader, committee members and Kirsty Williams, Assembly Member for Brecon and Radnorshire.